Quickly turn any WordPress site into a full-power, fully-expandable membership site with both free and paid membership types. Setup unlimited membership levels with paywalls, password protection, time-released content and trial periods. Fixed: Dripped content membership details page showing error. Fixed: MS_PROTECT_NETWORK still adding membership menu in subsite. 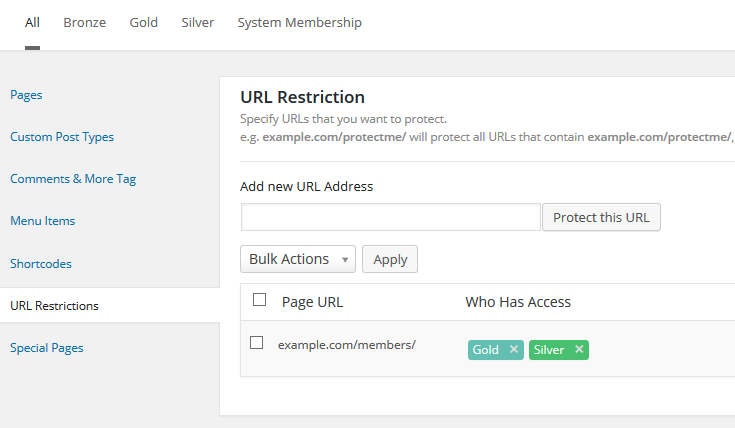 Fixed: BuddyPress protection rule for "All BP pages" is now working. Same as 1.0.3.2 - but all functions are working! Fixed: Problems with the two Add-ons; WPML and Coupons. Fixed: Wrong display in Help page; Pro plugin said "you are using the free plugin". Improved: Compatibility with Domain Mapping plugin. Unlock some Add-ons again, that were accidentally displayed as "Pro Only"! Brand new Template system for M2 pages: Layout can be overwritten from theme!! Improvement of the Mailchimp Add-on: Membership specific lists (pick a list in the Edit-Membership page)! Plus a lot more bug fixes and improvements. - Fixed: Duplicate expiration emails were sent on expiration date. Added: Settings for PayPal gateways now also list the country "Croatia". Fixed: For people who saw a PHP notice "WDEV_DEBUG is undefined": It's gone! Fixed: Missing translation string added. Fixed: Warning when the database table prefix is not the default "wp_"
Fixed: Expired trial is not going to payment gateway when clicking "sign up" in invoice. Fix error during import "class MS_Gateway_Admin not found"
Fix incorrect message "BuddyPress uses Membership page"
Fix a PHP warning on Membership 2 pages about "invalid argument in foreach"
Add logging for payment gateway transactions, can be viewed via "Billings > View Transaction logs"
Add new hook to observe status change of subscriptions: "ms_subscription_status-"
Rename page "Protected Content" to "Protection Rules"
Launch a membership site with Membership 2 Pro to easily set-up any membership system you think up. Use the included membership types to quickly make your content available to members and hidden to logged-out users, release content in timed intervals, limit access to only a few items, or make content available to only logged-in users who have not yet joined. Limit access to pages, posts, categories, videos, audio, images, PDFs, digital downloads, forums and even specific words and links – You control who sees what on your site. 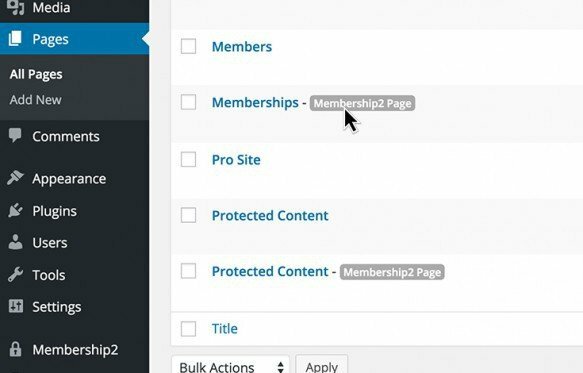 Use built-in add-ons to extend Membership 2 Pro as your site grows. Activate only the features you need to boost speed and save time. Extended automated email responses for events. 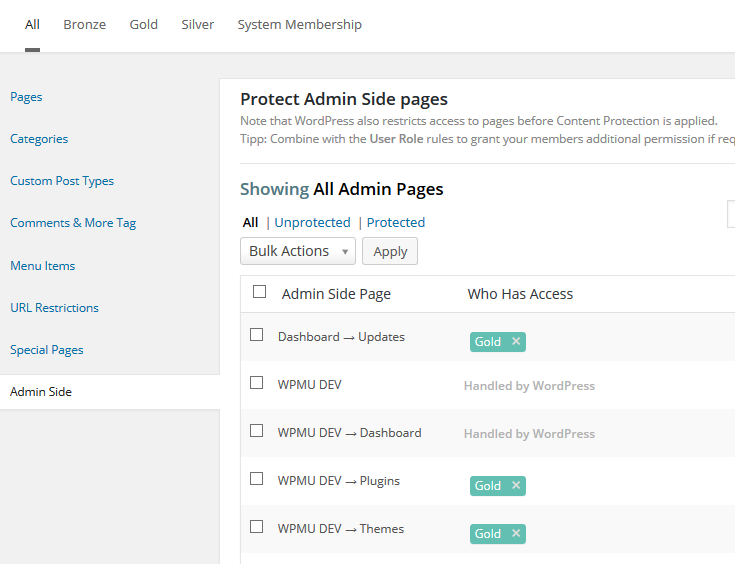 Control access to items in the WordPress dashboard. Add, protect and replace menus for visitors and members. 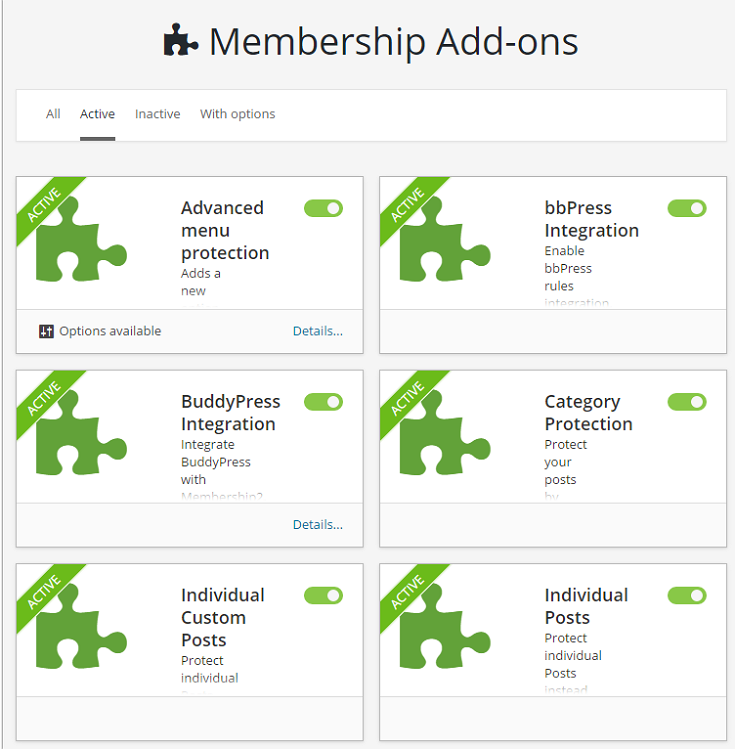 Use Membership 2 Pro to extend bbPress features. 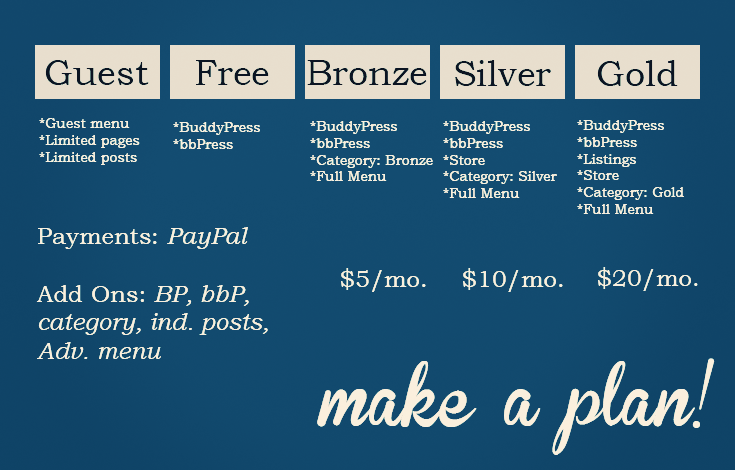 Create and exclusive social network with BuddyPress. Use categories to protect a group of posts. Create coupons and discounts to grow your business. Protect both posts and custom post types. Users need an invitation code to subscribe. Protect your images and other Media Library content. Manage user-capabilities based on membership level. Add custom attributes you can use in shortcodes and code. Subscribe to more than one membership at a time. Pro-rate payments when switching memberships. Customize fields for profile and registration form. 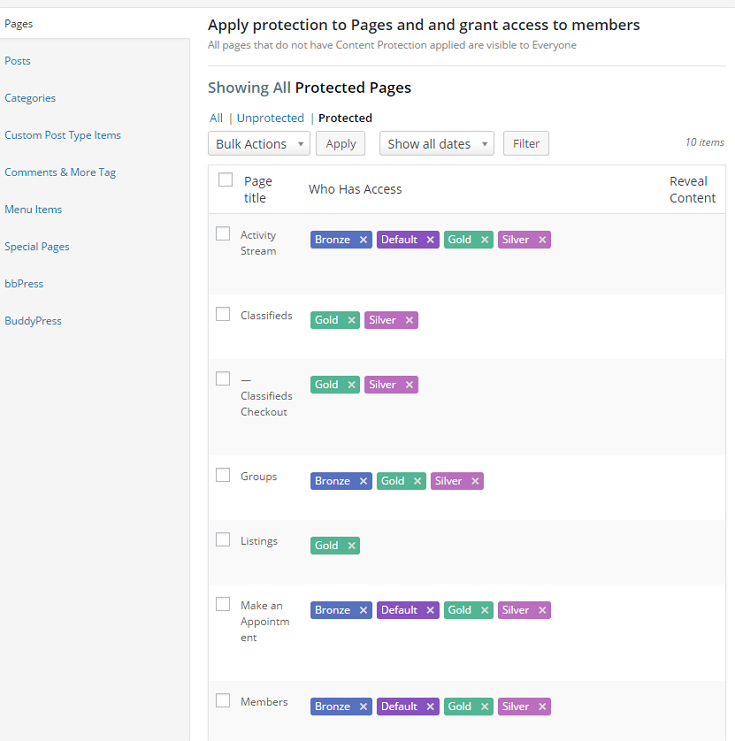 Protection special pages such as search results. Define URL after logged-in or logged-out. Allow search engines to index protected content. Activate to comply with EU VAT regulations. Set free trial offers for membership. Protect any specific page on your site. Use WPML to translate plugin messages. Membership 2 Pro comes packaged with everything you need to start taking payments out of the box – no expensive extensions. 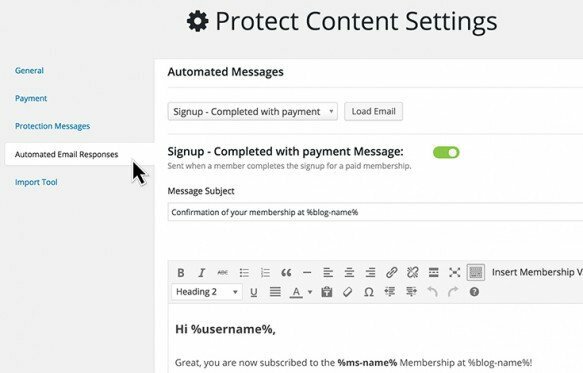 Protect your content behind a membership login and offer automated processing. Choose from four payment options in 25 currencies. Get paid with PayPal, Stripe, Authorize.net, or good old fashioned manual payments. Membership 2 Pro makes it easy to manage your users. Quickly find and add members from the dashboard. View their membership type, when it expires and any pending payments. Or visit the overview screen to see recent news, stats, new members sign ups, and a list of content available to logged in members. We’ve created an experience that makes setting up a membership site simple and intuitive, so you can start protecting your content even faster. There’s no guesswork with Membership 2 Pro. Our setup wizard will guide you through configuring your membership site. It even includes simulation mode to quickly verify everything is working before pushing your site live. Configure Membership2 Pro across your entire network from one place. Membership 2 Pro includes special controls for Multisite network administrators. Now you can configure content protection from one location – even on large networks. It’s WordPress SuperPowers for your network. Pages labels make it easy to manage pages created automatically by Membership 2 Pro. Membership 2 Pro automatically creates the pages you need and lets you choose which pages to include. 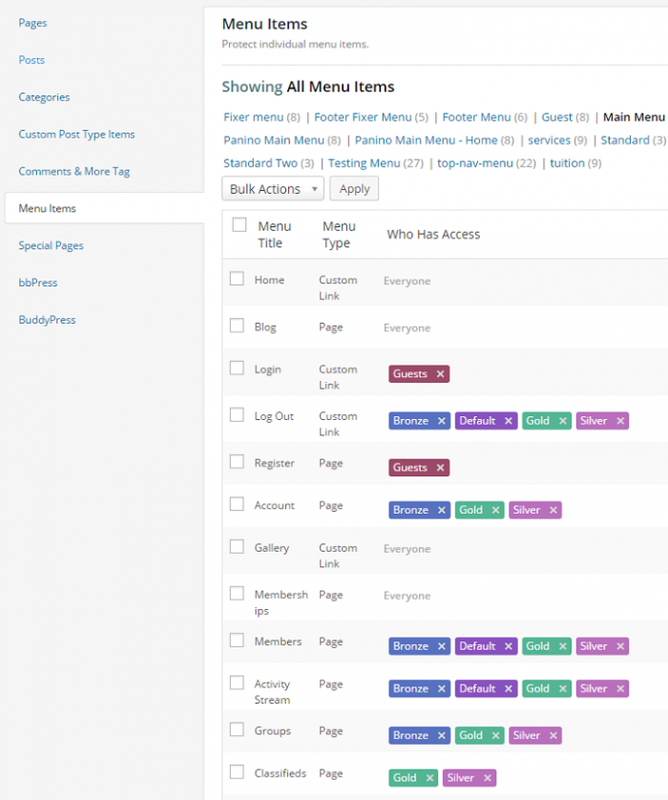 Pages created by the plugin are marked so you can quickly spot and manage them from your page list. Encourage visitors to your site to sign up for exclusive access to members-only content. Display a carefully crafted message to logged out users, along with details or how they can join your site. Email new members automatically when they sign up to your site. Thank them for taking the time to join as a free member and even offer them a coupon for discounted membership. 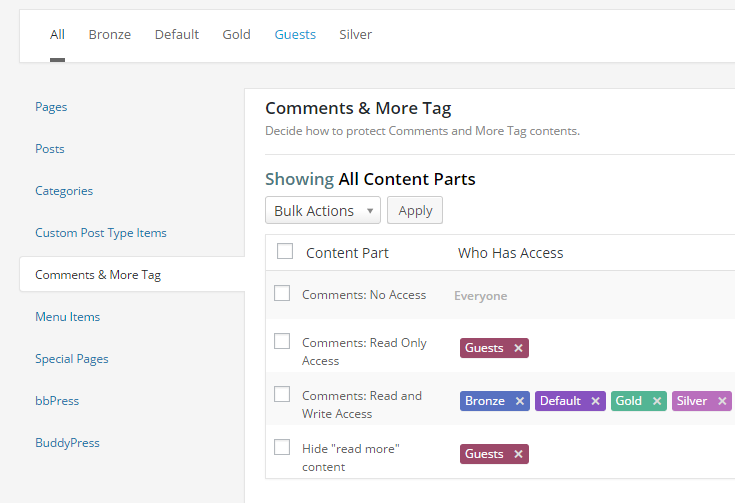 Toggle content protection across your site for simple powerful control. 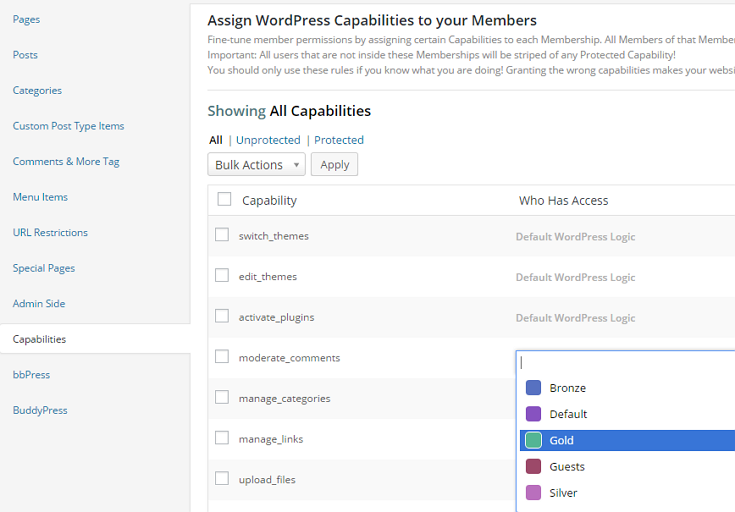 Easily toggle whether you want content protection turned on or off, either from the easy-to-spot notification in the admin bar or directly in the Membership 2 Pro settings. 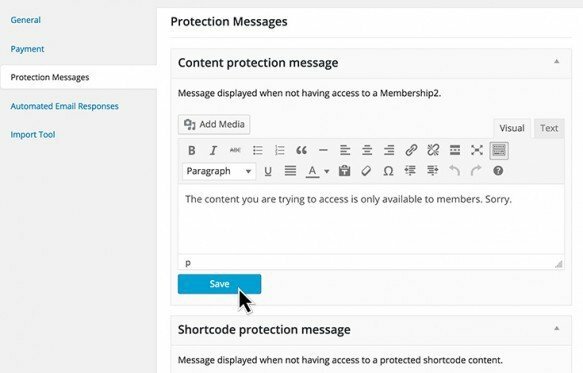 Use shortcodes to do everything from simply displaying a membership type to protecting specific content from users on certain membership levels. Membership 2 Pro includes built-in advanced membership feature protection for Affiliates, Custom Sidebars Pro, Events+, PopUp Pro and Appointments+. Plus, the Membership 2 Pro API makes it easy to integrate your favorite plugins and extend your membership site. Welcome to M2! It’s the new, improved version of our Membership and Protected Content plugins, and it’s the best version yet. Installing M2 will depend on where you’re starting from, so this part of this guide is divided into three sections; Upgrading from Protected Content, Upgrading from Membership, and First-time install. Read the section that pertains to you before you jump in. Upgrading to M2 from Protected Content is the simplest option. M2 will show in your admin as an available update for Protected Content, which means it will quietly replace Protected Content when the upgrade is complete. If you’ve never used Protected Content or Membership before, you’ll install the plugin just as you would any other. You can visit the Installing Plugins section in our comprehensive WordPress and WordPress Multisite Manual if you are new to WordPress. Congrats! You’re ready to set up M2. If you’ve already used Membership or Protected Content, using M2 is going to be very familiar to you. M2 allows you to control, down to the tiniest detail, what content you show to which members. With free and paid membership options, you can choose to protect content behind a paywall, or just create a private space for your free members. Let’s start building your site now. Creating a content protection plan is your first step. Jot down a diagram or outline of how you want your site to work. What membership levels do you want? What content do you want users on each membership to see or not see? Do you want your content to be always protected on some memberships, yet made accessible on others over time or on specific dates? If you’ll charge for access, how much will it cost and how will you accept payments? Yep, M2 can handle all that & more! Start with a plan for your content protection. If you have installed M2 or upgraded to it on a multisite network, part of your plan should be to decide whether you want your content protection rules to apply site-by-site, or if you want to leverage the network-wide protection features of M2. If content should be protected site-by-site, simply activate the plugin on the site where you want your content protected and continue with the setup as detailed in the rest of this guide. You can then set up protection rules from your network admin for every site in your network. Woot! Important note: the above constant will only work if added to wp-config.php before you start creating your memberships. Any existing memberships on any site in your network will not be recognized by the network settings. 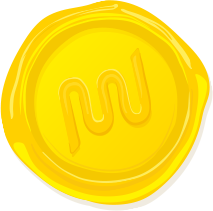 A future release of M2 will allow for pre-existing memberships to also function network-wide. When you’ve got a rough sketch of your plan, it’s time to start building your content protection. If you are not redirected immediately to the Setup page after installing the plugin, click the Setup menu item in the Membership2 menu. Memberships are the heart of M2, and you’ll use the memberships you create to complete each additional step in the set up process. To start, we give you a default “System Membership.” All current members will be in this Membership until they choose or they are moved to a different plan. With M2, you can create four different types of Membership. 1. Standard Membership: Most typical memberships will be Standard. Standard memberships can be free or paid. You can create as many standard memberships as you’d like. If you want to created a tiered system, such as Bronze, Silver, and Gold plans, you’ll create a standard membership for each tier you want to offer. 2. 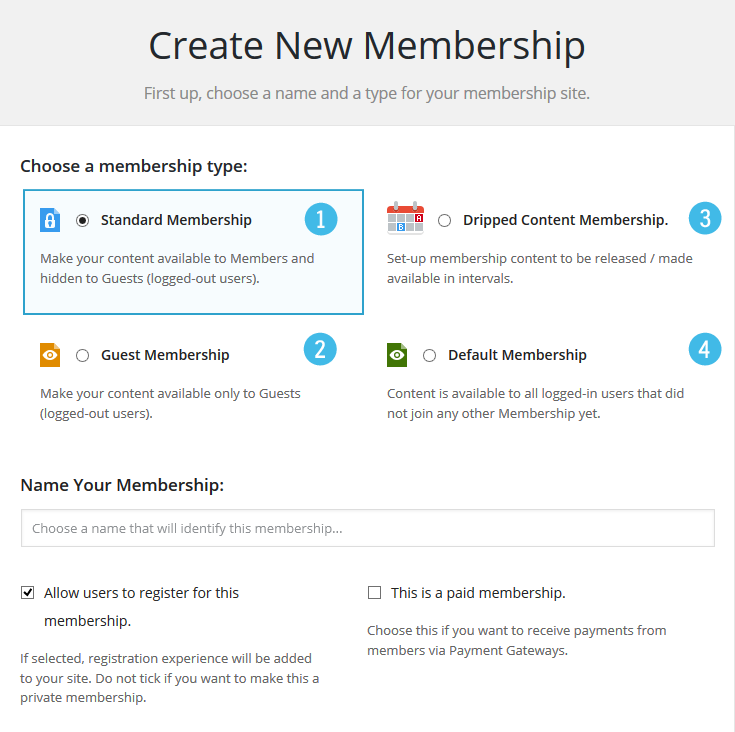 Guest Membership: A guest membership sets rules for non-logged in visitors to your site. If you’d like visitors to have unique access rules, you’ll need a Guest Membership. You’ll only be allowed to create one guest membership which will apply to all guests. 3. Dripped Membership: This membership is used when you have content you want to grant access to one piece/group at a time. The settings for this membership will allow you to set dates or time spans for when content is to be revealed or hidden. 4. Default Membership: This is similar to the System Membership that is added by default. It’s a membership for any registered/logged in user that is not currently the member of any other membership plan. Like the guest membership, there can only be one default membership on your site. Creating a new membership is very simple. 3. Choose the type of membership from the grid of four. Create each of the memberships you’ll need (you can add/edit/remove them later, as well) and we’ll move on to the next step. Don’t worry about setting up billing or payment gateways at this time, we’ll add those later on. Make sure you have a Memberships, Register, Account, Protected Content, and Registration Complete page set up for M2. Decide which items you want to appear in your main navigation menu. 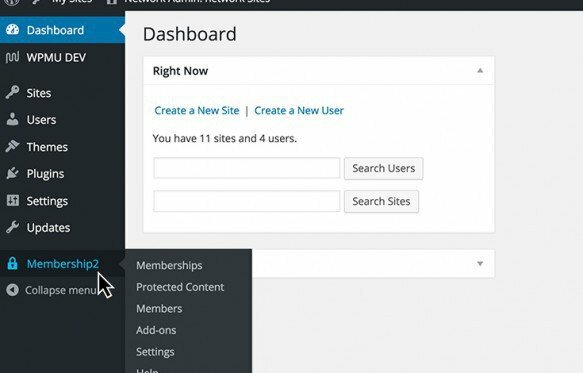 Decide whether you want the black admin bar that will usually show on the top of each page on your site (the one that says “Howdy, you”) to show for members. You’ll likely want to wait until you’ve finished getting everything set up before clicking the Content Protection toggle though. Membership 2 > Protection Rules is your home base for choosing who sees what content, all in one beautiful and easy to use page. You’ll see your content protection options in a vertical list of tabs. Clicking any of these tabs will allow you to set content protection for that particular content type. With no Add-Ons active, M2 allows you to protect pages, custom post types, comments and the “more” tag (see below for more about the available Add-Ons). It also provides settings for basic menu item protection. You’ll see the default mode is for everyone to be able to see everything. If you hover over any content item’s current access, you’ll see a “modify access link.” Click this to restrict this content item to only members of the membership(s) you assign. A colorful pop up will appear with each of your memberships listed. Click the memberships you want, and move through the content items, and tabs, one by one until you’re satisfied with your settings. Step Five: Billing, Subscriptions, and Payment, Oh My! M2 comes packed with several payment gateway options. You can choose whichever gateway or combination of gateways meets the needs of your an your members. You can set up your supported gateways via Membership2 > Settings > Payments. 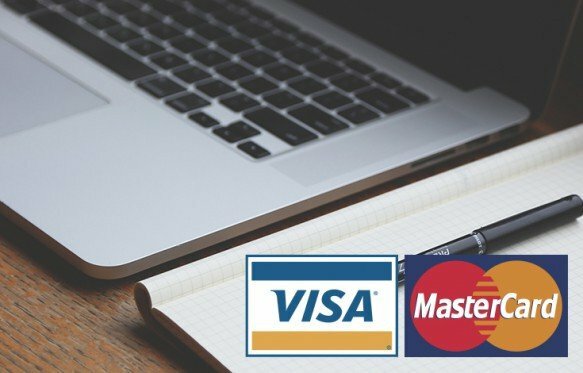 When payment gateways are set up, go back to Membership2 > Memberships, and edit each paid membership to include the gateway, the cost, and the duration of the membership. Hover to see the Payment Options link. If you’re planning on accepting recurring subscription payments, you’ll need to use either PayPal Standard or Stripe Subscriptions to manage the payments. Now that your memberships, content protection, and payment information are all in place, all that’s left is adding a few more personal details and checking your levels to ensure everything is working as expected. You’ll notice there are still a few more settings in M2 you can adjust. Let’s take a quick look. Protected Content Messages – You can change the text (and even add images and fancy styling!) when a user is trying to view content they don’t have access to. You’ll find these messages in Membership2 > Settings > Protection Messages. M2 also comes with a very handy “Membership Simulator” tool that allows you to view your site as if you were a member of any (or none) of your Memberships. Before you call it a day, take a few minutes and run through each of your Memberships to make sure they see what you want them to see. 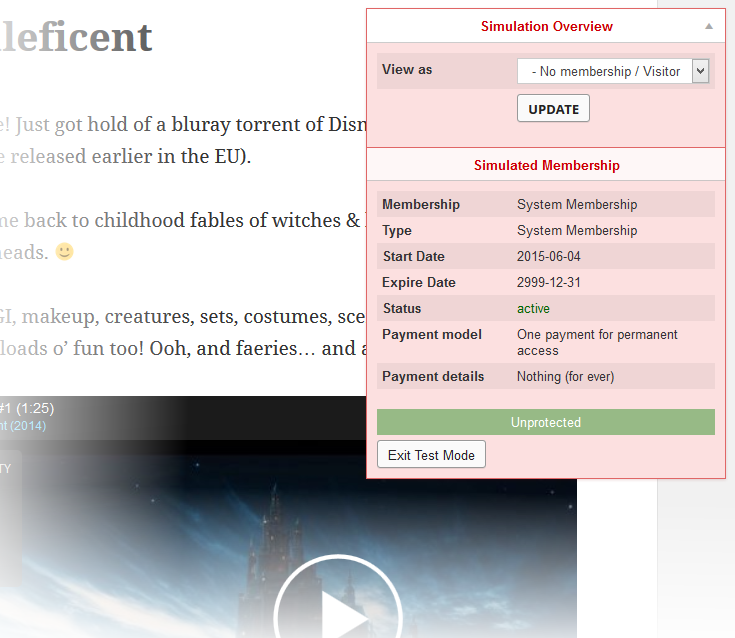 To access the Simulator, click the Test Memberships button in the toolbar in your admin or on the frontend of your site. You’ll then see the Simulator window in the top-right corner on every page of your site. Reward yourself with a pat on the back, you’re getting there! The real magic in Membership2 is in the Add Ons. All the Add-Ons are included, but only those that apply to your individual set-up can be enabled so you don’t need to deal with any items you don’t need. For example, if you do not have BuddyPress installed on your site, that Add-On will be greyed out with a message informing you that BuddyPress needs to activated before you can use it. 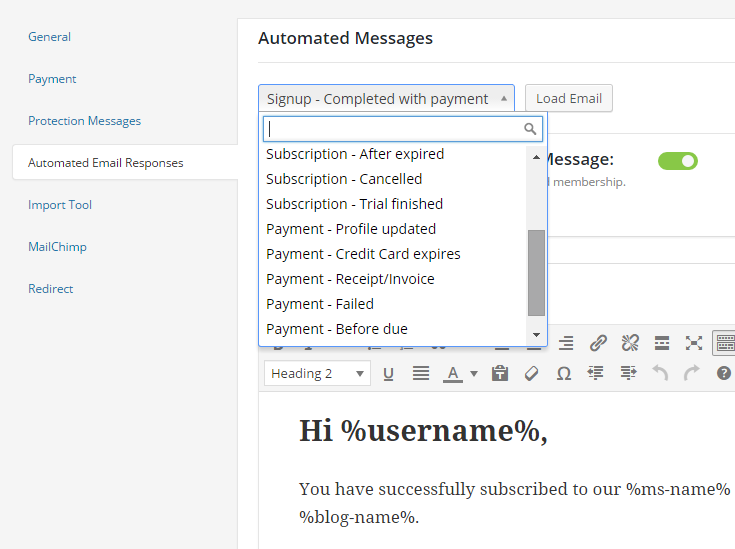 Additional Automated Messages – this add on allows you create custom auto-messages for members. Admin Side Protection – Want to extend your content protection to your Admin area? This add on will do just that. Advanced Menu Protection – This Add-On has three options to allow the ultimate control over access to your navigation menus. Click the Details link in the Add-On to select the option you want. 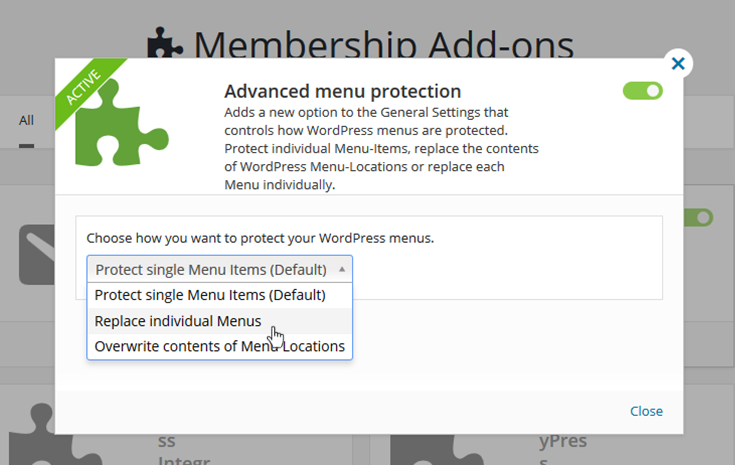 The option you select will determine the additional settings that will become available at Membership 2 > Protection Rules so you can tweak the access rules for your menus. 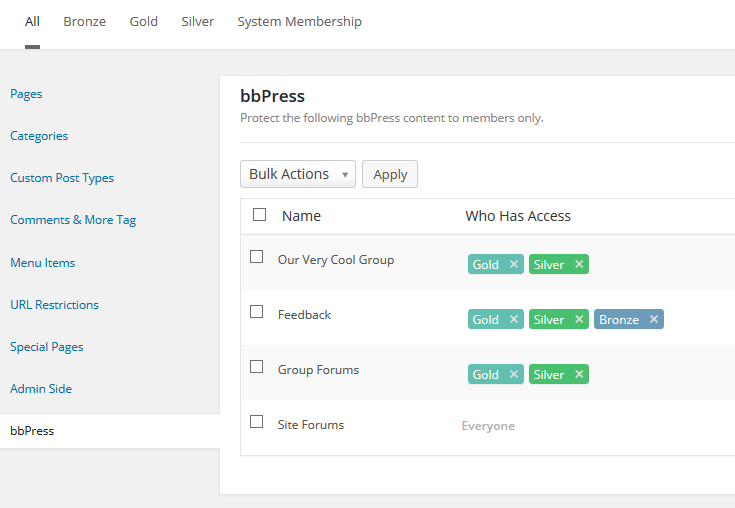 bbPress Integration – If you’re a bbPress user, you can protect your bbPress forums with this add on. BuddyPress integration – If your site uses BuddyPress, this add on will let you protect groups, profiles, and more. Category Protection – If you’d like to protect posts by category, this add on makes it super simple. 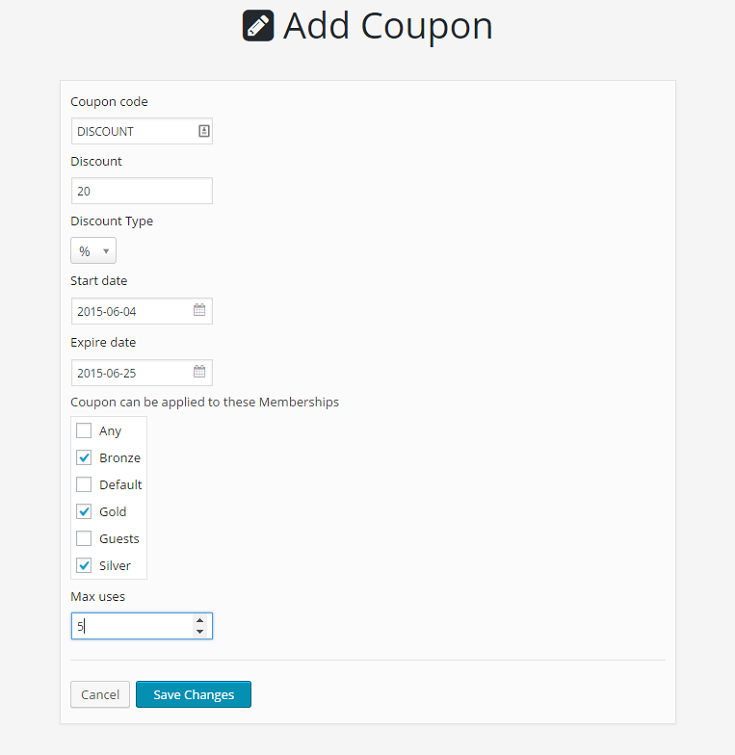 Coupon – Offer coupons for memberships. Individual Custom Posts – If you’d like to control access to custom posts on a post-by-post basis, this add on will help. 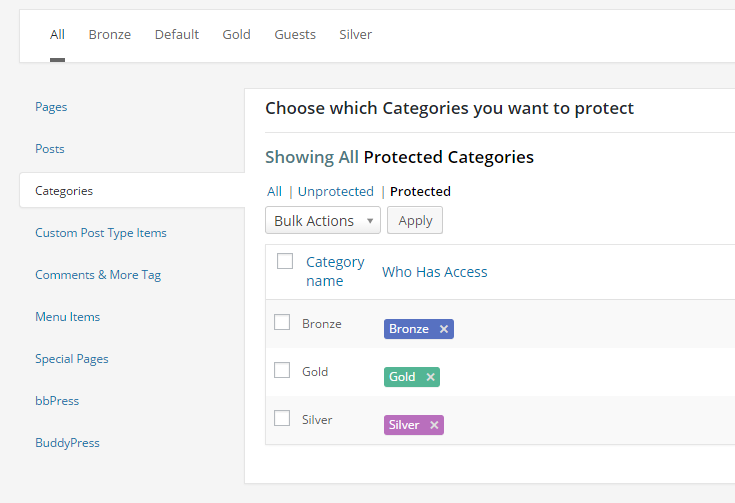 When enabled, the Custom Post Types tab under Membership 2 > Protection Rules will be replaced with Custom post Type Items where you can select the specific items you want to protect for each membership. Individual Posts – Like the add on above, but for standard WordPress blog posts. When enaled, this Add-On will add a new tab under Membership 2 > Protection Rules called Posts where you can protect individual posts. 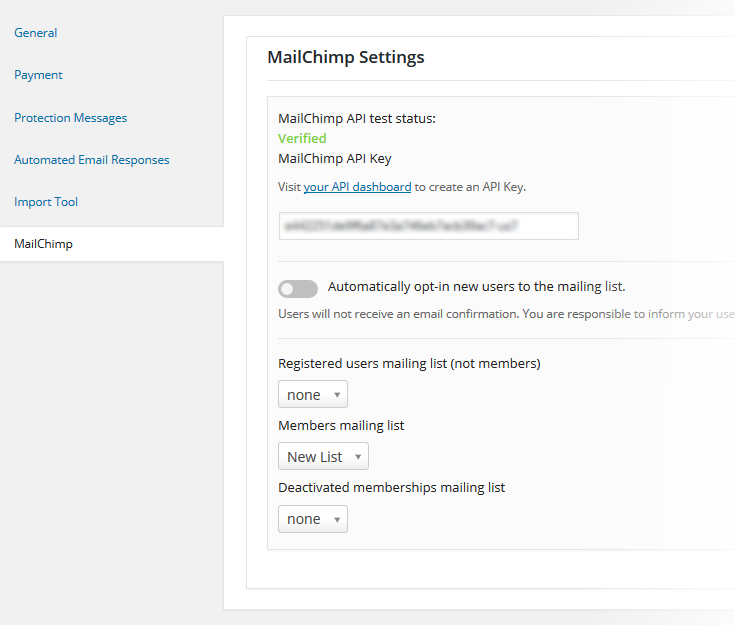 Mail Chimp Integration – If you’re a MailChimp user, this add on allows you to automatically optin your users to your MailChimp lists. There are 3 options available under the MailChimp tab in Membership2 > Settings where you can select which lists to use for Registered Users with no membership, Members and Deactivated Members. Media Protection – Like Advanced Menu Protection, this add on has three options to customize how your media is protected. Member Capabilities – This add on will allow you to grant permissions/access for individual members, outside of their membership level. Multiple Memberships – If you need users to have more than one simultaneous membership on your site, this add on will allow that functionality. This Add-On doesn’t create any new settings for you to worry about though. Important note: Members who are in multiple membership levels will default to the permissions of the most permissive level they belong to, if there’s a conflict. For example, let’s say you have a craft-based site where members can join any memberships they want, and each membership is based on a craft. If the Knitters have access to all custom post types, but Stitchers do not, and Bev is a member of both Knitters and Stitchers, Bev will have access to all custom post types. Protect Special Pages – Special page protection covers archives, 404 Pages, and search result pages, to provide truly wall-to-wall protection for your site. Redirect Control – If you want to control where users are redirected after logging in or logging out, this add on will be a big help. A future update will include the ability to set custom redirects based on memberships. Shortcode Protection – This Add-On will enable you to protect the content that is output by shortcodes from WordPress, or even other plugins. Booya! Taxamo – EU VAT regulations apply to you? We’ve got your back. This Add-On will add a new tab to Membership2 > Settings where you can set up your Taxamo stuff. Trial Period – If you’d like to give potential paying members a free taste of how great a membership on your site can be, activate the Trial Period add on. A new option will become available in the Payment settings for each paid membership you have. URL Protection – When none of the other add ons will do, URL protection will allow you to protect content by the page URL. URL protection includes regular expression support, so you can drill down into specific content as much as you need. Be careful with this one though; any rules you add here will override all other rules. M2 includes all the add ons we included in Protected Content to make custom content protection as comprehensive as you need it to be. Now that you know what you can protect, it’s time to choose the add ons you need (if any), and start applying content protection rules for these as well as the default settings which were added above. As always, if you get stuck, or you’d like to try something not explained in the Usage guide, come visit us on the forums, we’re more than happy to help get your M2 site up and running. Structure the perfect membership system.